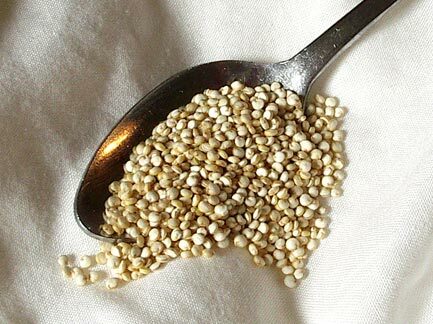 The last time I wrote about quinoa, I had yet to try it. All around me though, there was a buzz around this wonder food. Even then, it was unsettling to know that while there was a huge demand for quinoa abroad, back in Bolivia, the high prices for this crop was forcing consumers to move over to other options including novelties (to them) like soda and white bread. Now, there is a new twist to this story: climate change has lead to warmer temperatures in quinoa growing areas so now more land can be used for this purpose. This has sparked conflicts among farming communities eager to grow more quinoa and take advantage of the high prices they can get. I did eventually bring home and cook quinoa and we all enjoyed it. But it also brought into focus the troubled future of food where there is increasing pressure on the food system to feed the growing population while climate change forces us to change the way we grow food. This entry was posted in Climate Change, Food Policy, Food Security, Green, Hunger, Living, Nutrition, Price Rise and tagged climate change, food policy, food security, Green, Hunger, Living, nutrition, Price Rise. Bookmark the permalink.